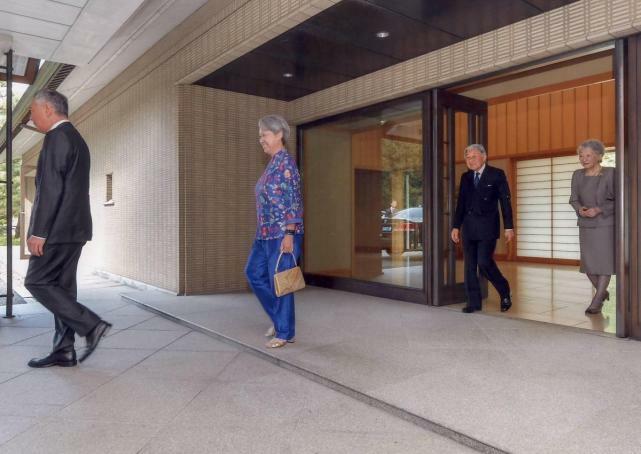 Prime Minister Lee Hsien Loong & Mrs Lee were hosted to a private lunch by Japan's royal couple at their home in the Imperial Palace yesterday, a rare occasion that signifies the robust ties between Singapore & Japan. 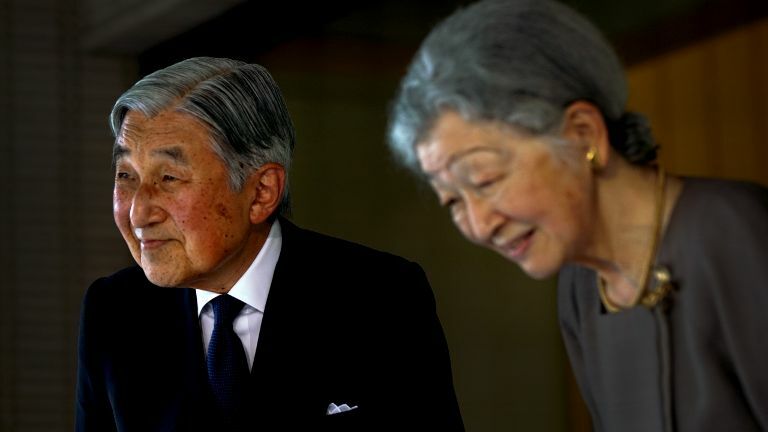 They met Emperor Akihito & Empress Michiko for about 2 hours - half an hour longer than the scheduled time. Prime Minister Lee Hsien Loong & Mrs Lee met Japanese Emperor Akihito & Empress Michiko on Tuesday (Sep 27), as part of his 4-day official visit to Japan. Mr Lee last met the 82-year-old Emperor in 2013. He was also hosted to tea by Emperor Akihito & Empress Michiko while on a 2007 official visit. On Tuesday, Mr Lee a& Mrs Lee were hosted to a private lunch at the Imperial couple’s residence within the Imperial Palace grounds. The meeting lasted about two hours. Prime Minister Lee Hsien Loong's wife Ho Ching made international headlines in August when she showed up at the White House toting a $14.90 dinosaur-print pouch designed by an autistic student artist. Her accessory choice during PM Lee's recent official visit to Japan is once again a talking point, after she wrote a poem sharing the heartwarming story behind the bag she carried to a private lunch at the Imperial Palace with Japanese Emperor Akihito and Empress Michiko on Tuesday (Sep 27). 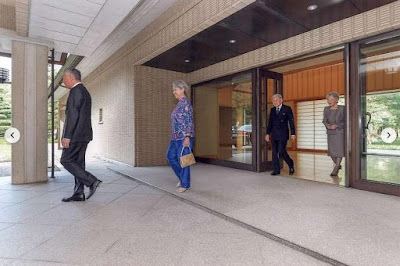 Mrs Lee posted on FaceBook on Sunday (Oct 2) morning explaining that the bag had been at a previous meeting with the Japanese royal couple - albeit in the hands of another woman, who died a couple of years ago. In the Japanese bow, the bower expresses appreciation and respect to the person being bowed to by bending at the waist. This is a gesture widely used in tandem with greetings like "ohayo gozaimasu" (good morning) and "konnichi wa" (hello, good afternoon) as well as words of gratitude or apology. The most casual bow is the "eshaku" bow 会釈えしゃく. In this bow, the waist is generally bent at about a 15 degree angle. It is common to lightly dip the head and give an "eshaku" bow when exchanging a casual greeting or passing by someone of a higher social status. Of course using words by themselves is sufficient, but if you add an eshaku bow while saying "arigato" (thank you) to someone who has shown you kindness, your feeling of gratitude will come across as incredibly more heartfelt. The bow generally used in business interactions is the "keirei" bow 敬礼けいれい. In this bow, the torso is lowered to about 30 degrees. It is used when entering and leaving reception rooms and meeting rooms and when greeting customers. The "saikeirei" bow 最敬礼さいけいれい, the most polite bow, consists of lowering the torso about 45 degrees. It is used to express feelings of deep gratitude or apology. Beijing should make Singapore "pay the price for seriously damaging China's interests" with retaliations and sanctions, an influential Chinese military advisor has said. Professor Jin Yinan, of the Public Liberation Army's National Defence University, made the remarks on Chinese-state radio on Thursday (29 September), reported the South China Morning Post. 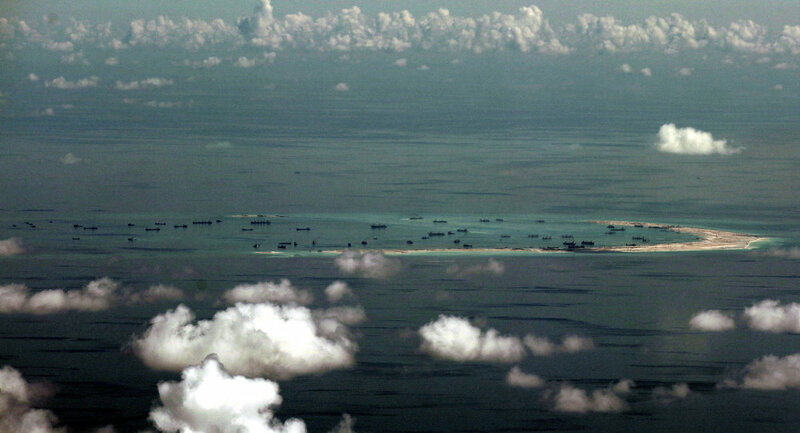 The statement is the latest offensive in an on-going war of words over the South China Sea dispute after the Global Times, a Chinese newspaper, reported that Singapore endorsed the Philippines' case to bring international arbitration against China. Beijing should impose sanctions and retaliate against Singapore to make the city state “pay the price for seriously damaging China’s interests”, an influential Chinese defence adviser told state radio. The remarks by Professor Jin Yinan came amid stern criticism by China over Singapore’s reported insistence on including content that backed the Philippines’ position on an international arbitration ruling on claims to the South China Sea in the final document of the Summit of the Non-Aligned Movement (NAM) in Venezuela early last month. But Jin, former director of the strategic research institute at the PLA’s National Defence University, turned up the heat further late on Thursday, accusing Singapore of taking an active role in turning the South China Sea dispute into an international issue in recent years. He said Singapore had advised Washington on the matter and stirred up conflicts between the US and China, according to an interview with state-owned China National Radio. A Chinese general lashed out at Singapore for its alleged support for the Philippines in the legal clash with China over the disputed areas in the South China Sea, saying that Beijing must express its “discontent” with sanctions. Jin Yinan, the People's Liberation Army's (PLA) Major General, said in an interview with China National Radio (CNR) on Thursday that Singapore has been ramping up tensions in the south-east Asia which are damaging China’s national interests. The statement comes in the wake of a report by the Chinese newspaper the Global Times that Singapore had pushed the issue of the South China Sea territorial dispute and backed Manila in the legal standoff with Beijing during the recent Non-Aligned Movement (NAM) summit. The argument between Singapore’s ambassador to China and the editor-in-chief of the nationalistic Chinese tabloid Global Times is less about specific actions and deeds as it is about Beijing’s growing disappointment with the tiny Asian city-state. Until recently, the two nations – which share deep ethnic and cultural bonds – had enjoyed what was often described as a special relationship. This was manifest most clearly in two recent events – China’s rare high-profile treatment of the death of Singaporean leader Lee Kuan Yew in March last year and Singapore’s hosting of the historic meeting between Chinese President Xi Jinping ( 習近平 ) and his Taiwanese counterpart Ma Ying-jeou last November. 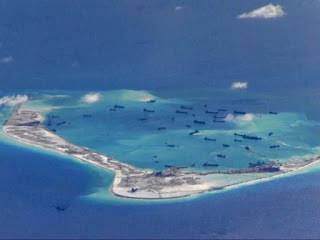 But since then, mistrust has grown, spurred by the escalating rivalry between China and the United States and the landmark ruling by The Permanent Court of Arbitration in The Hague on July 12 denying Chinese claims to huge swathes of the South China Sea. Singapore is a principled international actor. She does not shirk away from conflict when it comes to defending her interests, and makes it plainly known what she thinks is best for herself and those who are involved in her diplomatic relations. 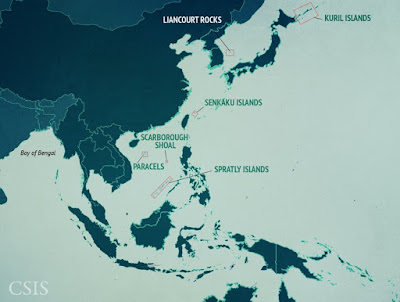 Now with the South China Sea, the simple story is that Singapore is not a claimant state in the disputes and so is only interested in defending international law and the right to lawful passage in the South China Sea (SCS). Since Singapore’s not a claimant state, is it fair to say that we can sit back and do nothing about the situation between the regional and international actors like China and the US involved in the dispute? Chinese state-owned newspaper Global Times has published a series of reports critical of Prime Minister Lee Hsien Loong’s official visit to Japan this week, which sparked criticisms of Singapore among Chinese netizens. In its first report on Thursday morning (Sep 29), the newspaper claimed that Singapore “again stirred up” the South China Sea issue. Global Times claimed that Mr Lee & Japanese Prime Minister Shinzo Abe had discussed and “reached consensus and agreed to cooperate” on several issues, including the South China Sea, during their summit meeting on Wednesday. 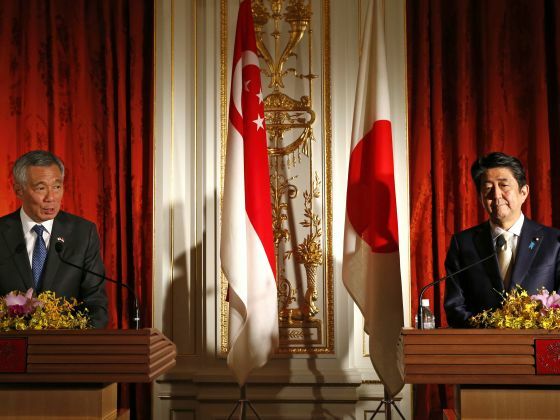 Singapore, Mr Lee had reiterated after his talks with Mr Abe, does not take sides in the South China Sea dispute. The Chinese newspaper, published by the ruling Communist Party’s official People’s Daily, also asked readers if they objected to Singapore’s “viewpoint”. By Friday morning, more than 98% of 18,600 respondents who responded to the online poll clicked “yes”. Scores of netizens also posted scathing remarks against Singapore, with some comments drawing thousands of “likes”. Beijing should impose sanctions and retaliate against S'pore to make the Republic “pay the price for seriously damaging China’s interests”, an influential Chinese defence adviser reportedly told state radio. 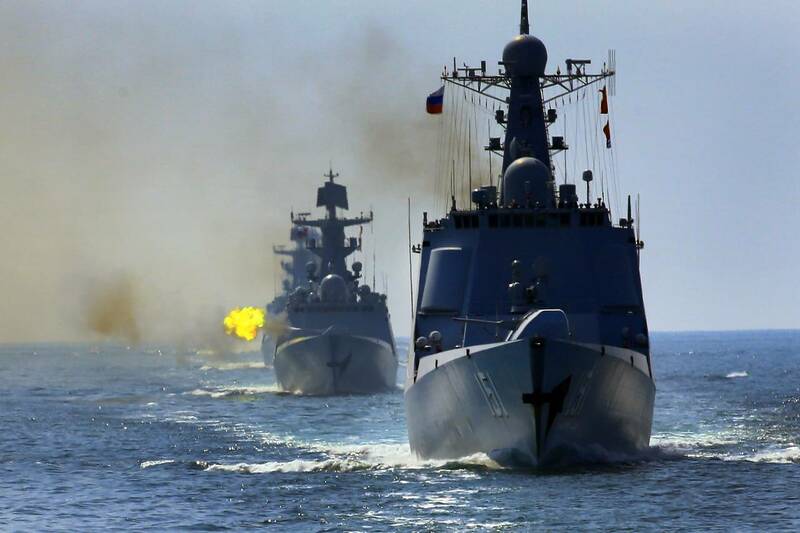 The remarks by Professor Jin Yinan, director of the Strategic Research Institute (SRI) at the PLA’s National Defence University, is the latest salvo from China in a recent war of words over the South China Sea territorial spat. The row erupted after the Global Times, a Chinese newspaper known for its often nationalistic reporting, claimed that S'pore insisted on adding contents that endorsed the Philippines’ South China Sea arbitration case against China in the final document of the Summit of the Non-Aligned Movement (NAM) in Venezuela last month. Lashing out at those one disagrees with seems to be a fad of late. There was the falling out between Chinese cross-talk star Guo Degang and his pupil Cao Yunjin, as well as the debate between two United States presidential candidates who found fault with each other. Now, the people of China and other countries have begun lashing out online. These include Mr Hu Xijin, editor-in-chief of the Global Times, and Mr Stanley Loh, Singapore's Ambassador to China. The spat has ranged from news reports to letters, with both men employing diplomatic rhetoric or news reporting practices to make their point in no uncertain terms. Netizens took sides, with expressions of support and taunts, behaving as if they were watching a show. 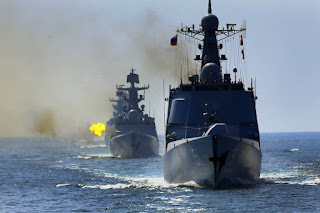 The incident began with a report in the Global Times which claimed that at the Non-Aligned Movement (NAM) Summit in Venezuela, Singapore insisted on adding content which endorsed the Philippines' South China Sea arbitration case, but it was met with objections from several countries. The words used in the report were critical and derisive of Singapore. 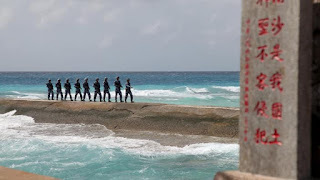 On Thursday, the overseas edition of People’s Daily also published an online commentary, saying Singapore “has obviously taken sides over South China Sea issues, while emphasising it does not”. In other words, China is accusing the Singapore government of saying one thing but doing another – a hypocrite. If the Kra Canal truly becomes a reality, ships would certainly consider by-passing the Strait of Malacca and Singapore altogether, making the Singapore’s all-important geographical location redundant. We may truly become a third world country after all. related: Will our $100 billion Chinese investments go up in smoke? 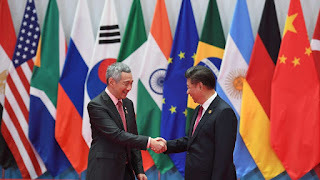 S'pore has rebutted a report in an influential state-owned Chinese tabloid which claimed that the Republic had tried to push for a stronger statement on an international tribunal’s ruling on the South China Sea at the Non-Aligned Movement (NAM) summit last week in Venezuela. “We are disappointed that an established newspaper published this irresponsible report replete with fabrications & unfounded allegations with no regard for the facts,” he said. The Global Times newspaper reported that during discussions at the NAM meeting, Singapore pushed for Philippines' position on the South China Sea dispute but was dismissed as many countries opposed it. As a result, according to the published report, Singapore's representative responded back with "inappropriate" and "offensive" remarks. "Singapore acted out of self-interest and caused many discussions to drag on late into the night, upsetting many countries," claimed the report, according to Channel NewsAsia. However, Singapore has rebutted all these allegations. 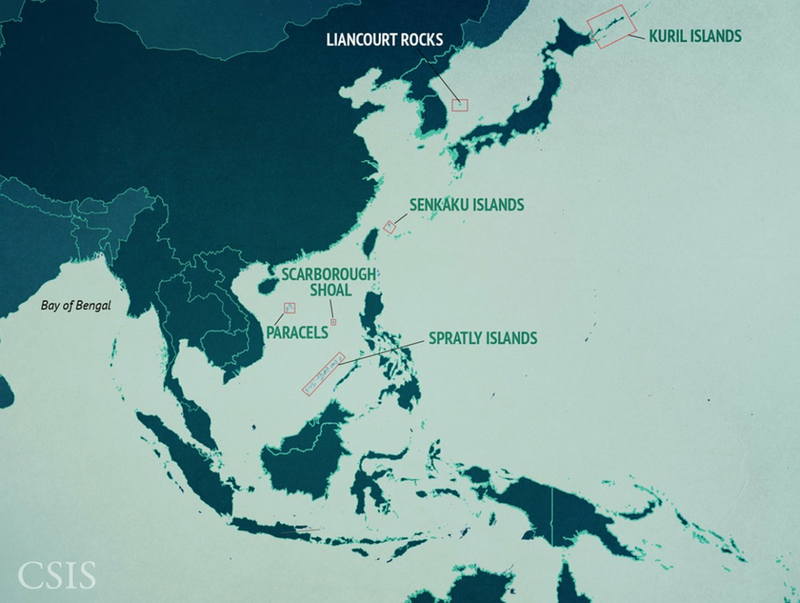 Mr Loh, in his letter, said: "Contrary to the claim fabricated by the Global Times, the Singapore delegation did not raise the South China Sea or the tribunal ruling at the NAM Summit." China's foreign ministry called on Singapore to respect China's stance on the South China Sea issue on Tuesday, a further indication that China is upset about Singapore's enthusiasm for an increasing US presence in the Asia-Pacific region. 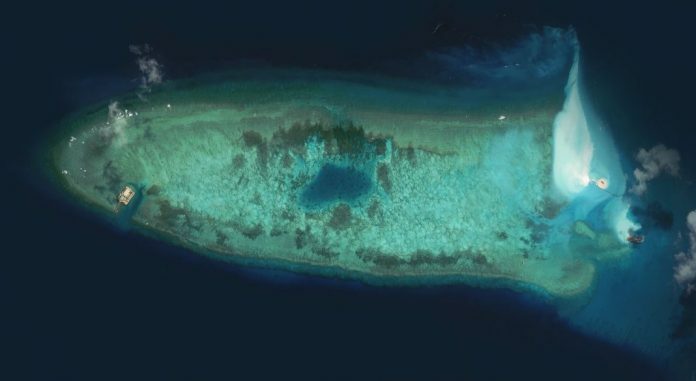 Foreign ministry spokesperson Geng Shuang told a daily news briefing that China hopes countries will remain fair and objective over the South China Sea disputes. Without mentioning the name, Geng admitted having noticed a recent Chinese newspaper report saying that Singapore had insisted on rendering the issue into the final document of the 17th Non-Aligned Movement (NAM) Summit, which was held on September 17 and 18 at Venezuela's Margarita Island. More than 100 countries attended the summit, including Vietnam and Laos. The foreign ministry has blamed an unspecified “individual nation” for stirring up tensions over the South China Sea dispute after an unusual war of words broke out between the Singaporean envoy and the editor-in-chief of an influential mainland tabloid newspaper. 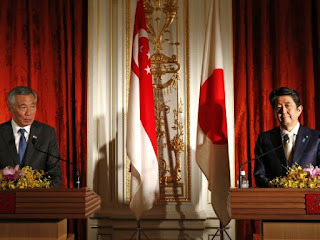 The incident underscores the difficulty Singapore faces in maintaining good ties with an assertive Beijing. Without directly naming Singapore, foreign ministry spokesman Geng Shuang said an “individual nation” had insisted on including South China Sea issues in the final document of the recent Non-Aligned Movement (NAM) Summit held in Venezuela on September 18. The war of words between Singapore’s ambassador to Beijing and the editor-in-chief of a nationalistic Chinese tabloid over a report about the city state’s role in the South China Sea dispute shows no sign of abating. The Singaporean ambassador, Stanley Loh, issued a second open letter on Wednesday, questioning the credibility of the Global Times newspaper report – saying that it did not have any reporter present at the international meeting at the centre of the controversy. “Global Times did not attend the meetings and had to rely on information from unnamed sources”, Loh said in his letter, appended in full at the bottom of this article. The crux of the matter is that Global Times’ report dated 21 Sep 2016 did not accurately reflect the proceedings at the recent NAM Summit. Global Times did not attend the meetings and had to rely on information from unnamed sources. In contrast, Singapore is a member of NAM and had participated in all the proceedings at the Summit. Consequently, I have related the facts and this account can be verified by the public record of the meeting. By the way, you misread my letter. The NAM Chair did not reject Singapore’s request. In fact, the NAM Chair improperly rejected ASEAN’s collective request to update the Southeast Asia paragraphs to reflect the consensus of all ten ASEAN Member States. That is why Laos as Chair of ASEAN wrote to the Venezuelan Foreign Minister to put on record ASEAN’s reservation to a paragraph in the Southeast Asia section of the NAM Final Document. You failed to mention this ASEAN Chair letter which I had enclosed in my earlier letter to you. I have appended it again for your attention. The other points you had raised are not relevant to the issue of the veracity of Global Times’ report. Singapore has consistently adopted a clear and principled position. Our leaders have already addressed those issues on numerous previous occasions at meetings with your leaders. Our positions are not identical, but neither are we opposed. So we need to understand each other’s position, accept differences, and work towards enlarging shared interests with one another. The Global Times (Chinese) article dated 21 September 2016 regarding the 17th Non-Aligned Movement (NAM) Summit attributed actions and words to Singapore which are false and unfounded. Firstly, the proposal to update the Southeast Asia paragraphs in the NAM Final Document was not done at the last minute nor by any single ASEAN country. 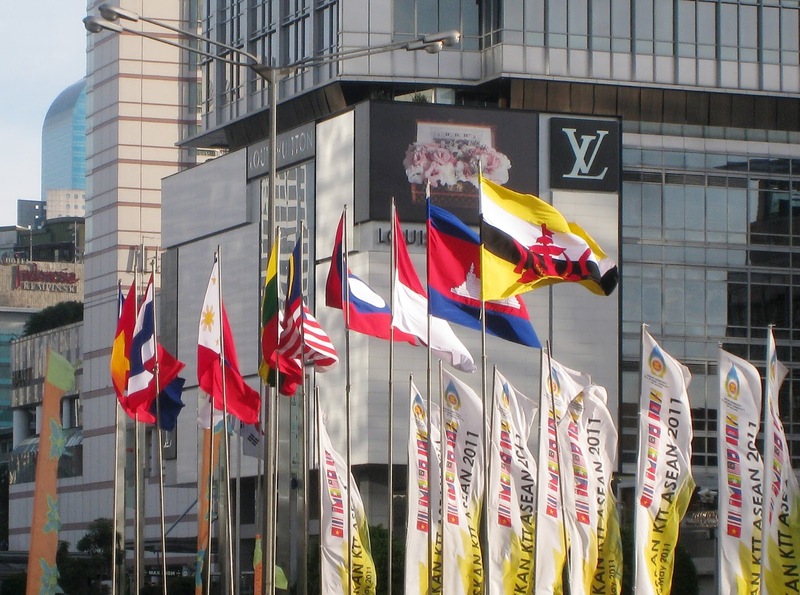 There was a common and united ASEAN position. It was a consensus position of all ten ASEAN members, based on agreed language from the Joint Communique of the 49th ASEAN Foreign Ministers Meeting. As the current ASEAN Chair, Laos conveyed the group’s common position through a formal letter to the former-NAM Chair Iran in July 2016. Subsequently, Iran circulated ASEAN’s updates to all NAM Members on 29 July 2016. Secondly, the NAM Chair refused ASEAN’s request to abide by the established practice in NAM for regional groupings to update the paragraphs of their respective regions in the NAM Final Document, without interference from non-regional NAM countries or external parties. If this important principle is not respected, any non-regional NAM member or external element could in future impose their views on any regional issue. This is not in the interests of the NAM and its members. The paragraphs on Southeast Asia, including those referring to the South China Sea, have been part of the NAM Final Document since 1992, and regularly updated based on the common position of the ASEAN countries. I would like to extend my friendly greeting to Your Excellency, and on behalf of 10 ASEAN member States attending the XVII NAM Ministerial Meeting, namely Brunei Darussalam, Cambodia, Indonesia, Laos, Malaysia, Myanmar, Philippine, Singapore, Thailand and Viet Nam, have the honour to reiterate that the question of South China Sea is a matter of vital interest for peace stability, security and cooperation in South East Asia. From the very beginning, ASEAN with a high respect to Venezuela Chair of XVII NAM Summit and with the strong aspiration to contribute to the success of this XVII NAM Summit, has been requesting extensive discussion and consultation with interested NAM members to reach an agreement on the issue. “The Heads of State or Government reiterated the call to solve all sovereignty and territorial disputes in the South China Sea by peaceful means, without resorting to force and/or the threat to use force, in accordance with the universally recognized principles of international law, including the 1982 UN Convention on the Law of the Sea and the Charter of the United Nations. In this context, they urged all parties to ensure the full and effective implementation of the Declaration on the Conduct of Parties in the South China Sea in its entirety to build, maintain and enhance mutual trust and confidence, to exercise self-restraint in the conduct of activities, and to work expeditiously for the early adoption of an effective Code of Conduct, which would help to promote international peace and stability in the region, with a view to creating a positive climate for the eventual resolution of all contentious issues, as mentioned in paragraph 2 of the Joint Commmunique of the 49th ASEAN Foreign Ministers’ Meeting in Vientiane, Laos dated 24 July 2016. 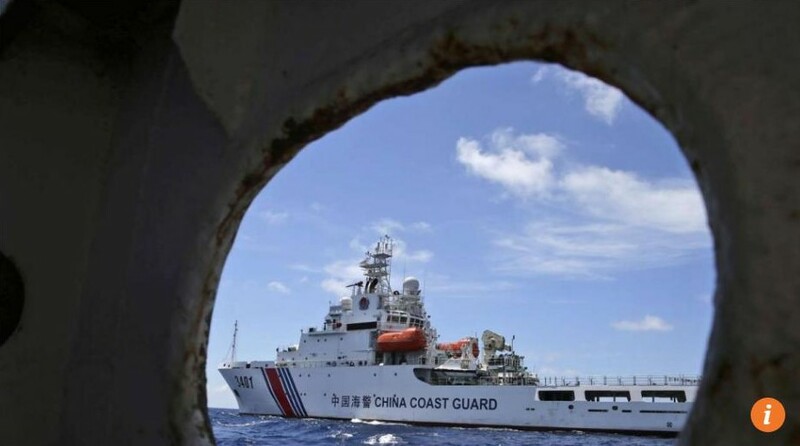 A Chinese newspaper editor has defended a report that criticised S'pore diplomats for raising the South China Sea issue at a recent multilateral summit. Global Times editor-in-chief Hu Xijin yesterday said he disagreed with Singapore's Ambassador to China Stanley Loh, who, in a letter to Mr Hu on Monday, refuted the allegations and said the daily's Sep 21 report "was replete with fabrications". 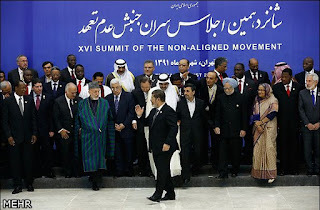 Mr Hu said the report on the Non-Aligned Movement's (NAM) 17th summit held in Venezuela 2 weeks ago reflected "the real situation" and that its sources were "serious & reliable". It was published in the Chinese edition of the daily. Singapore’s ambassador to China and the editor-in-chief of nationalistic Chinese tabloid Global Times are caught up in a heated row over a report on the city state’s role in the South China Sea dispute. The Global Times, owned by Communist Party mouthpiece People’s Daily, had reported last Wednesday that Singapore wanted to include the Philippines’ position on an international arbitration ruling on claims to the South China Sea during the Non-Aligned Movement summit held in Venezuela earlier this month. But Stanley Loh, Singapore’s envoy to China, rejected Global Times’ report, issuing two open letters to the newspaper’s editor-in-chief Hu Xijin this week. 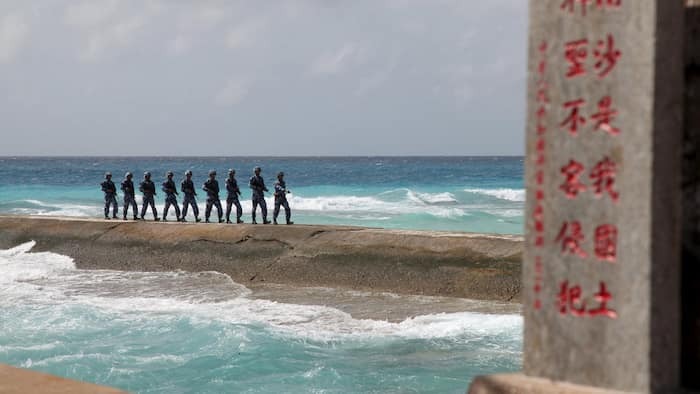 An unusual public spat over the South China Sea between Singapore’s ambassador to China and a hawkish Communist party tabloid has exposed growing strains in the relationship between the two countries. The Singapore envoy this week accused the Global Times of “false and unfounded” reporting following an article saying the city-state had sought to include the issue of the disputed waters in a joint statement following last week’s Non-Aligned Movement summit in Venezuela. The newspaper, a subsidiary of Communist party mouthpiece the People’s Daily, also claimed in last week’s article that Singapore’s representative at the summit had tried — but failed — to add an endorsement of the Philippines’ international arbitration case against China’s territorial claims. It added that the representative had become exasperated and made “sarcastic remarks” when the move was opposed. 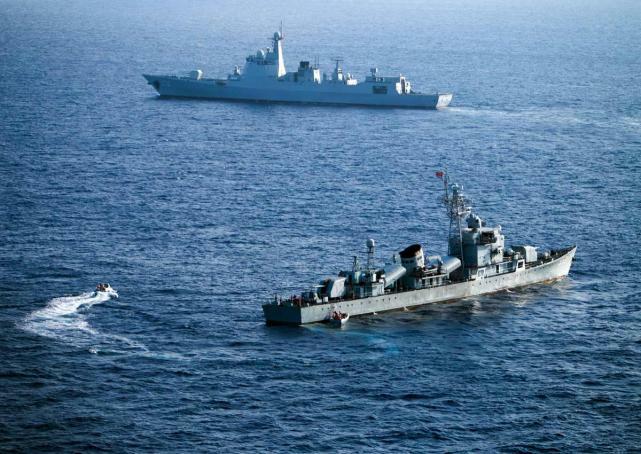 Tensions between Singapore and Beijing over the South China Sea moved to a new front this week: a tabloid newspaper. Singapore’s ambassador to China has engaged in unusually public sparring with influential Chinese tabloid the Global Times over the city-state’s posture on regional maritime disputes. 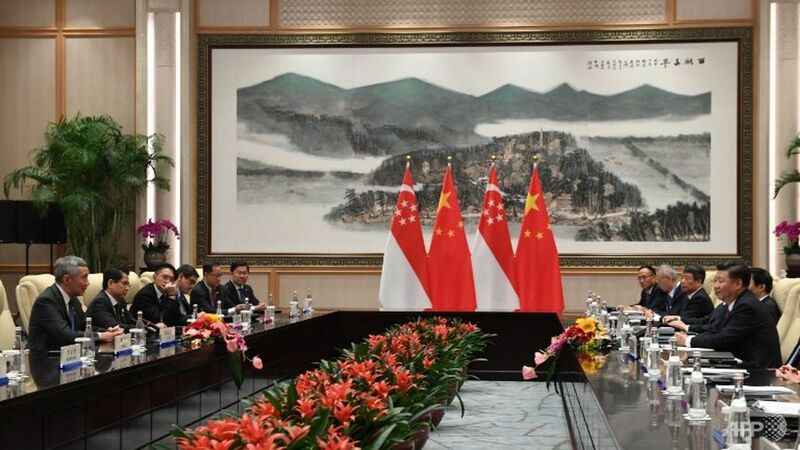 The spat arose after the newspaper reported that Singaporean delegates at a recent international summit lobbied aggressively to add sterner language about the South China Sea to the meeting’s final communique. The requested wording, according to the Global Times, included references to a recent international ruling that rejected Beijing’s claims to certain rights in the strategic waters. The 17th Non-Aligned Movement (NAM) summit in Venezuela closed on Sep 18, with NAM adopting the "Declaration of Margarita Island" which will guide the development of the movement for the next three years. However, the Global Times understands from people who have attended the summit that in the course of consultations on drafting the document, S'pore had insisted on adding contents which endorsed Philippines' South China Sea arbitration case & attempted to strengthen the contents on the South China Sea in the document. S'pore did not succeed due to unequivocal opposition from many countries. NAM was founded in 1961 and holds a meeting every 3 years. It reflects the desire of small and medium-sized countries to break free from the control of big nations and pursue national independence, and make an effort to retain influence on major developments in the world. S'pore did not raise the South China Sea territorial dispute or a July arbitral tribunal ruling on the dispute at a recent multilateral summit in Venezuela, the Republic's Ambassador to China Stanley Loh said yesterday, in a letter refuting allegations made in a Chinese newspaper last week. The actions & words attributed to Singapore are "false & unfounded", Mr Loh said in the letter about an article dated Sept 21 in the Chinese edition of the Global Times on the 17th Non-Aligned Movement (NAM) Summit. The NAM was formed in 1961 by a grouping of newly-independent countries that did not want to take sides in the Cold War between the United States and the Soviet Union. It meets once every 3 years. Singapore's Ambassador to China on Mon (Sep 26) expressed the city-state's disappointment at a report by Chinese newspaper Global Times, alleging that S'pore had acted inappropriately at the recent Non-Aligned Movement (NAM) Summit held in Venezuela. In a letter to the Global Times' editor-in-chief Hu Xijin, Ambassador Stanley Loh refuted the newspaper's report, stating that it "attributed actions & words to Singapore which are false & unfounded". The report, published online on Sep 21, said S'pore wanted to include Philippines' position on the South China Sea dispute in the NAM Final Document at the last minute, which was met with opposition by many countries. Singapore’s ambassador to China has accused a major state-run Chinese newspaper of fabricating a report about Singapore’s position on the South China Sea, but the paper stuck by its story. The Global Times said on Sept. 21 that at a summit of the Non-Aligned Movement in Venezuela, Singapore had raised the issue of the disputed waterway and an international tribunal’s ruling in favor of the Philippines in a case it lodged against Chinese claims. The influential tabloid, published by the ruling Communist Party’s official People’s Daily, said Singapore’s attempt was foiled by the opposition of “many” other countries. Singapore's ambassador to China on Tuesday accused a major state-run Chinese newspaper of fabricating a report about Singapore's position on the South China Sea, but the paper stuck by its story. The Global Times said on Sept. 21 that at a summit of the Non-Aligned Movement in Venezuela, Singapore had raised the issue of the disputed waterway and an international tribunal's ruling in favour of the Philippines in a case it lodged against Chinese claims. The influential tabloid, published by the ruling Communist Party's official People's Daily, said Singapore's attempt was foiled by the opposition of "many" other countries. This claim that has been firmly denied by the Singaporean ambassador to China, Stanley Loh. According to Loh, the Global Times article is an "irresponsible report replete with fabrications and unfounded allegations with no regard for the facts." 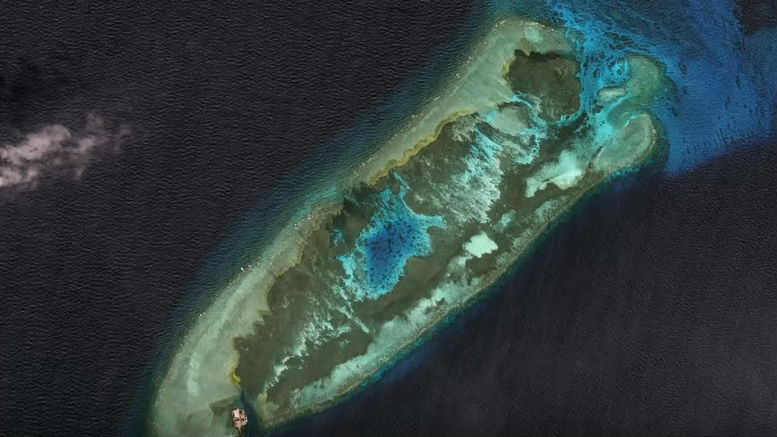 On Tuesday, Singapore accused the Chinese state-owned tabloid Global Times of making up a story on Singapore's views of maritime disputes in the South China Sea. The Global Times published a piece on September 21 alleging that Singapore had "insisted on rendering the [Philippines' view of the South China Sea dispute] into the final document of the Seventeenth Non-Aligned Movement Summit," a meeting of developing nations held in Venezuela earlier in the month. The report further claimed that Singapore's efforts at NAM persisted "late into the night, upsetting many countries." Singapore's ambassador to China has accused a Chinese state-run newspaper of fabricating an article about Singapore's position on the South China Sea. 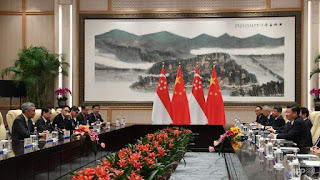 On 21 September, the Global Times printed that a summit of the Non-Aligned Movement in Venezuela saw Singapore raise issues surrounding the South China Sea dispute and The Hague's ruling against Chinese claims over it. According to the Global Times, Singapore's attempt to raise the issue was blocked by opposition from "many" countries. Stanley Loh, Singapore's ambassador in Beijing, has since written a letter to the Global Times' editor-in-chief, Hu Xijin, in protest against the article. Loh stated that the words attributed to Singapore in the article were "false and unfounded". The ambassador of Singapore to China accused on Tuesday a major state-run newspaper from China of making up a report about the position of Singapore on the South China Sea, the paper staying by its story. 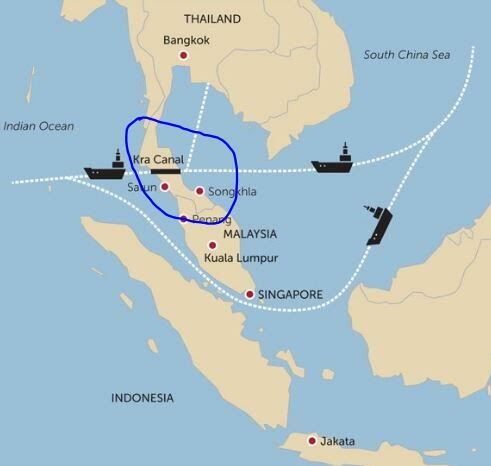 On Sept. 21 the Global Times said that during a summit of the Non-Aligned Movement from Venezuela, the issue of the disputed waterway was raised by Singapore, an international tribunal which is ruling in the Philippines’s side in a case against the Chinese claims. The influential newspaper, which is published by the official People’s Daily of the Communist Party, wrote that Singapore’s attempt was prevented by ‘many’ other countries opposition. An anonymous ‘person in the know’ was cited by the newspaper. Potential cooperation between China and claimant nations in the South China Sea ranging from maritime economic development to maritime tourism, fishery protection and island construction loomed at a maritime summit in Xiangshan, Ningbo, East China's Zhejiang Province. Experts stressed that while it is important for China to protect its sovereignty, turning the South China Sea into an area of peace and collaboration is crucial as well. The forum, which went by the theme, "Cooperation and sharing: mechanisms of solving the South China Sea issue," was co-hosted by the China International Ocean Forum and Shanghai Federation of Social Science Associations. The Global Times published an online article on its Chinese website last week saying that the NAM chair country Venezuela on September 18 refused Singapore's request to include an endorsement for the South China Sea arbitration award into the final document of the summit. According to the source, the Singaporean delegation was infuriated when most of the countries objected to its request and spoke rudely to these countries' representatives, the report said. Singapore also kept harping on the issue at the summit, delaying conferences into the night on many occasions and causing antipathy among other countries, according to the source. Up till about a year ago, relations between Singapore and China could loosely be grouped into two eras: Mao and post-Mao. 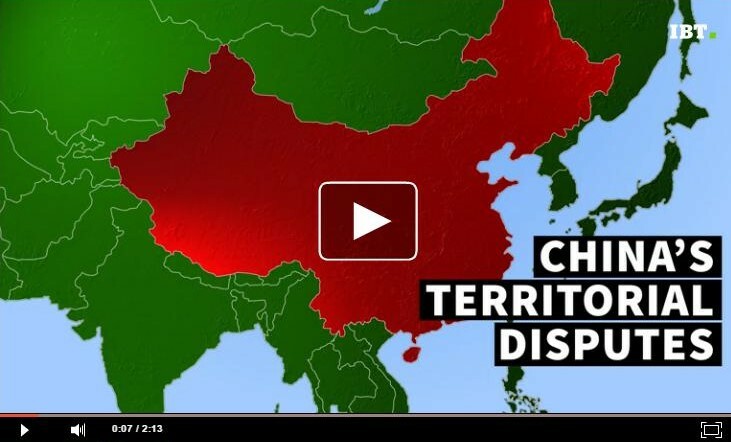 Will China & Philippines cut cooperative resource development to defuse SCS? Are melamine food wares safe to use? "Bus fares will be affordable if raised"